Anybody who knows anything about anything knows that you have to be a little bit mad if you want to take a trip to Wonderland. Why, just take a look at all of its residents. There’s a giant talking caterpillar with a very rude temperament. There’s the disappearing cat, who shows up mostly to say befuddling riddles. Then, there’s the White Rabbit, who’s always running behind and checking his clock. And don’t forget about the March Hare, who’s quite possibly the second maddest character of them all. Who’s the first? Well, that will be your child, of course! Your child has the potential to become the craziest person at the tea party, as long as you have an Alice in Wonderland themed costume ready for him. 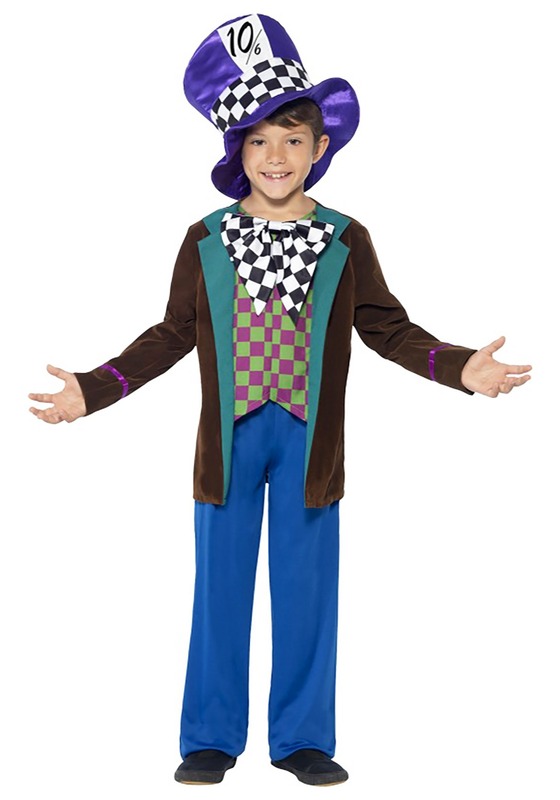 Well then, you’re quite in luck, since this boy’s Crazy Hatter costume allows your child to transform into Wonderland’s most notorious character with a few screws loose. The costume includes everything your kid needs to have his own crazy tea party. 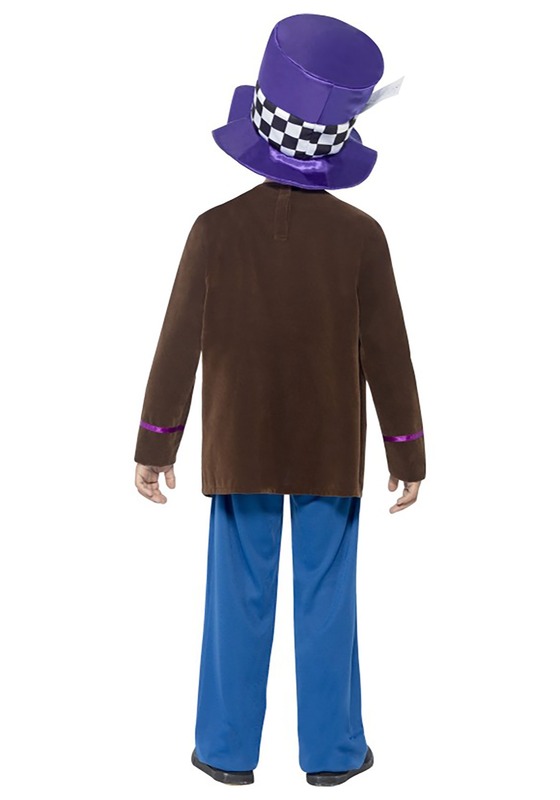 It comes with velour jacket with an attached vest front, which has wild patterns that will confuse and amaze his guests. It also comes with a pair of bright blue pants, since pants are kind of important for tea parties. The final, and most important part, is the hat. It’s shaped like a top hat with checkered designs for a look that’ll fit right in with all the other crazy folks running around in Wonderland.